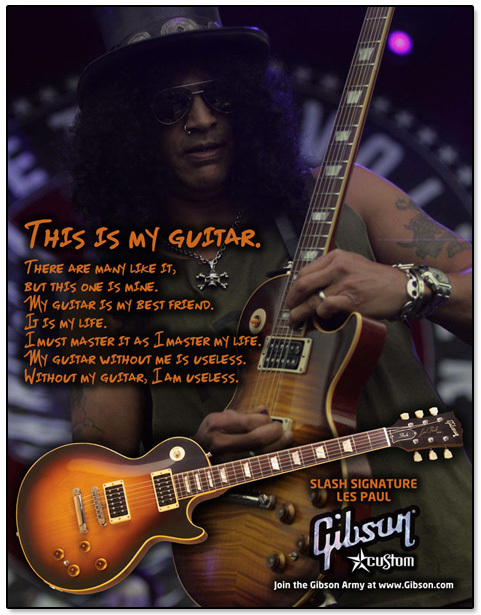 This print ad campaign was created as a concept for Gibson Guitars Signature Series. The target publications would be glossy print music magazines, such as Guitar World. The body copy incorporates the US Marine Rifleman's Creed in an attempt to emphasize the sense of personal identity that players have with their guitars. Three guitarists (Dave Grohl, Tom DeLonge and Slash) are included in this campaign. Note: This ad campaign was created in Photoshop for a Communication Design college course. These ads were not commissioned by Gibson Guitars or any publication. I do not own the rights to these photos and have not made a profit off of these photos. I'm very flattered at the feedback I've received for these works though! 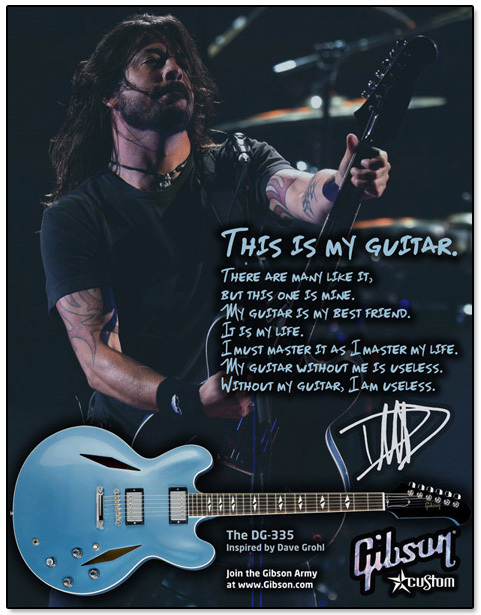 This series of ads was inspired by the release of the DG-335 Dave Grohl signature semi-hollow guitar from Gibson. Dave Grohl, the lead singer of the Foo Fighters (and former Nirvana drummer), was the perfect frontman for the signature line. 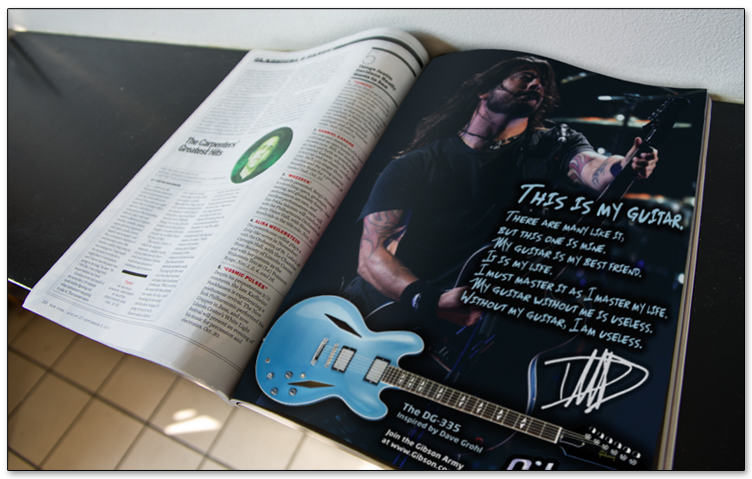 A mockup of what the Dave Grohl ad would look like in a print magazine. 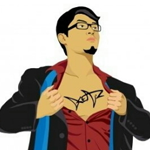 The second in this ad campaign featured Tom DeLonge of blink-182 and Angels & Airwaves fame. 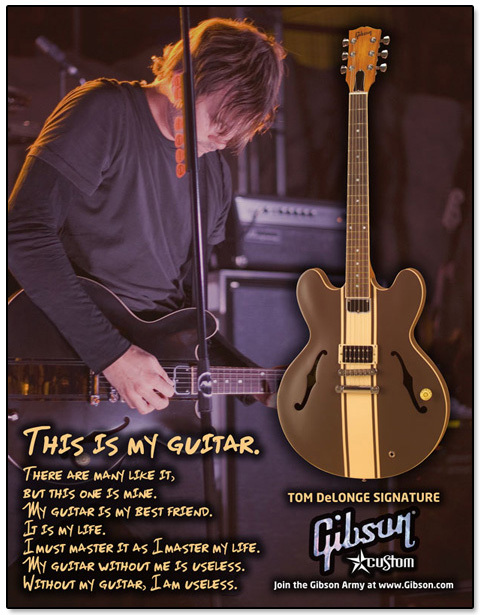 Each of these ads features the same body copy, and prominently features the artist's guitar (Tom DeLonge Signature) and a call to action to visit the official Gibson Guitars website. The last in this series includes the legendary Guns N' Roses guitarist Slash. As with the previous two designs, both the musician and the instrument are the stars of the ad. This one features the Slash Signature Les Paul.